Losing everything & gaining it back! I lost everything due to my drug addiction. I didn't think that I had a problem. I thought I was perfectly fine & normal. I started stealing from my family doing unusual things that I knew were wrong. My husband told me if I didn't get help that he would leave me and take our girls. My parents stopped talking to me, I didn't have anyone. So I agreed to get help once and I got my help my life has been so much better. I love being sober, it brings so much peace into my life. My family can sleep peacefully at night knowing that I'm okay and I just love that. I'm more active with family activities. My daughters are enjoying me as a mom, my 4 year old told me the other day that I'm the best mommy in the world, she put a big smile on my face because she's never told me that. That's one of the reasons I'm going to continue to stay sober for my daughters not only for them but for me as well. I'm 4 months clean today. Bradford saved my life! Comments for Losing everything & gaining it back! 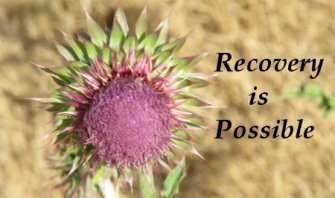 Wow, you do have so many wonderful reasons for staying sober and doing the very hard work necessary to continue your sobriety. Thanks so much for sharing your story and being willing to be so honest about your experiences. I would encourage you to join a 12 step group, if you haven't already, and to work the 12 steps daily. Addiction is a terrible disease that attacks the brain and you will need to do everything possible to continue to stay sober for your wonderful family. I'm so proud of you sissy!!! I'm happy you're sharing your story to help save other's lives, that says so much about your character. Continue to keep up the outstanding work. I love you!!! Everything has a season. Thank God, your season for blessings is here. I believe in you and love you as my own. I knew that the change would come in due time because of the tears and prayers that were sent up for you. We all are proud of you and continue to keep you lifted in prayer. Keep your head up and know that God cares for you. He will never leave of forsake you. Stay prayed up and refrain yourself for negative environments. Thanks guys :) I'm going to keep up the good work I see I'm making a lot of people proud! Jasmine what are the reasons that made you to use drugs? You are a good mother.. God has a plan for you.. It started when I was referred to the pain clinic for my stomach , but that doesn't matter I got the help I needed and I am a better person to my family especially my daughters they need their mommy ! I know that I can't stay clean and sober on my own without the help of God , but I thank him each and everyday for turning my life around completely. To know this now, I feel like I was a bad friend/sister. All in all, we have always supported one another! I am so proud of you Jas! I will continue to pray for you! I will always be there when you need me. I love you beautiful, and you keep up the good work! Congrats, I will continue to pray for you. Thank God for the sober. Congratulations Jasmine! How did you stay focused on your recovery? And where did you find strength? Did having a family of your own make your recovery process easier or harder?